Betsy Reed Maddox Engles died peacefully and with a smile on her lips Sunday night Aug. 19th 2018 at 10:30 PM with her husband, son and daughter by her side. She died at home after seven months of several severely painful surgeries and illnesses, in and out of several hospitals and rehab facilities. She was preceded in death by her father Thomas Reed Maddox, mother Ruth Ella Bayless Maddox, and her son Thomas Edward Engles. Betsy had three children, two sons Joe and Thomas born in the 1960s and a “surprise” when daughter Leah came along 15 years later. Betsy was a wonderful mother, always involved with school and church activities of the children as they were growing up. She attended Central High School in Bruceton, Tennessee, Murray State College in Murray, Kentucky, Baptist School of Nursing and Springdale Votech Truck Driving School, Springdale, Arkansas. Betsy spent her adult life a devoted companion to John. Always totally involved in their ventures. With John she flew airplanes, owned and managed a full service Truck Wash and Diesel Fuel Facility. They farmed and had cattle three separate times where she was always involved in doing the hard work: pulling calves, milking the goats, working cattle and feeding in winter. They had a Flight School where she fueled planes, managed the schedules and ran the office. As a CDL truck driver she spent several years as a team driver for Bulkmatic traveling from coast to coast, into Canada and down to Mexico. 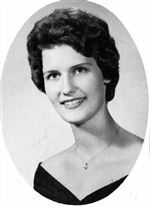 In high school she was a friendly and natural leader serving as the chief majorette and drum major for the high school band.